Councils collectively spend many millions of dollars each year on proprietry software systems, that in many cases only poorly serve their needs. If even a fraction of this money was channeled into developing an Open Source Local Government Software Suite, Councils could not only save a huge amount of money, but would in the long run have access to a software solution that better meets their needs. 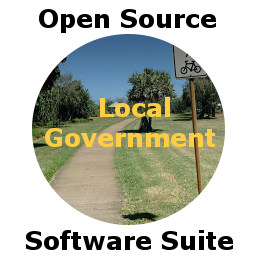 If you have an opinion on whether or not the idea of an Open Source Local Government Software Suite is a good way of improving local government, please click on "rate" below and give the concept a "+" or "-"
Guides to Open Source Software used in some Australian Government departments and agencies.